Almost all small ships offer special childrens rates as well as these limited time offers below. Need a little help getting TO Alaska? 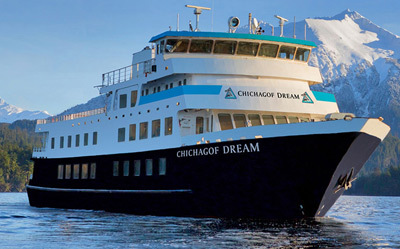 We’ve got just the promotion on Alaskan Dream’s ship the Chichagof Dream! 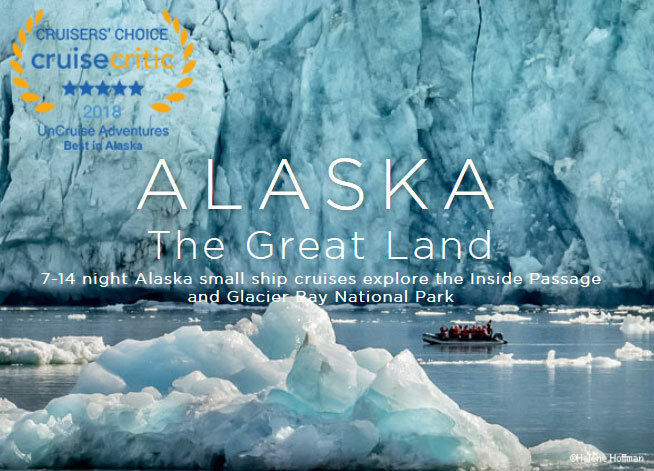 On the 5/12, 5/19, 6/2 & 6/9 departures enjoy a $400 per person Alaska Airlines certificate good toward your purchase on Alaska Airlines to get to/from your cruise! 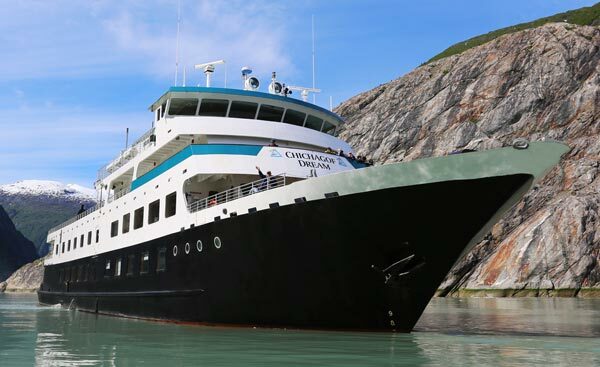 Alaskan Dream Cruises is proud to announce Single Traveler Special – on Chichagof Dream. American Cruise Line Take advantage of savings! Save $1000 per stateroom on select departures while inventory lasts – July 6, Aug 17, 24, 31 2019. 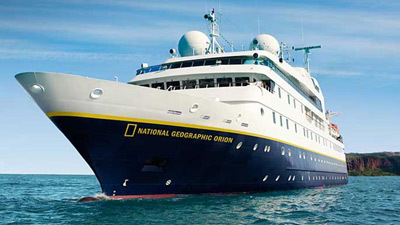 Lindblad National Geographic – NEW itinerary for 2019, "Bering Sea Wilderness"
Lindblad National Geographic – NEW itinerary for 2019, “Bering Sea Wilderness “– Pribilofs, Katmai and Kodiak and they will take care of your bar bill and crew tips! . Valid for new bookings only, subject to availability, and may not be combined with other offers. Call 800-977-9705 for details. See other Lindblad National Geographic offers below. Free One-Way Airfare (Sitka/Seattle) on the May 2 & 3 and September 4 & 5, 2020 departures. New bookings only. Subject to availability. FREE ONE-WAY AIR (Sitka/Seattle) on May 6 & 12, 2019 and May 4, May 10, August 29,and September 5, 2020 departures. Subject to availability, new bookings only. Contact 800-977-9705 for further information. Free Round-trip Air between Sitka and Seattle on the May 25, 30 & June 4, 2019 departures. Subject to availability, new bookings only. Contact 800-977-9705 for further information. Every two full-paying adults are welcome to bring a child at 50% and a second child for FREE. This offer is applicable on select 2019 Exploring Alaska’s Coastal Wilderness departures, and is based on two full-paying adults bringing one child (21 and under) for 50% off, second child for free when traveling with two full-fare-paying adults. Savings do not apply to extensions. New bookings only. Call 800-977-9705 for details. FREE AIRFARE and receive complimentary round-trip airfare between Seattle and Alaska on select 2019 departures. Subject to availability; new bookings only. We have some amazing value bonus extras on these two fabulous itineraries on the luxury all-inclusive mid-size ship Seven Seas Mariner of the Regent Seven Seas Cruises line! 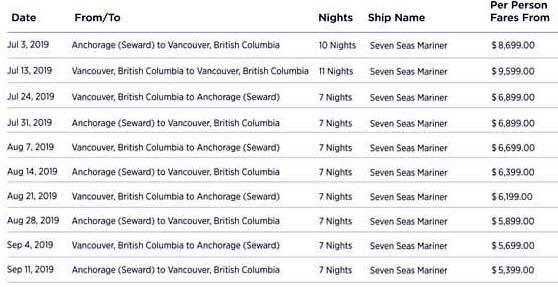 July 13 – 11 night round trip Vancouver voyage “Further into the Frontier”, with $500 ship board credit per suite! From $9399 per person all inclusive! What is a ship board credit? That is an account of funds you can use toward anything on board! And in some cases, you actually can spend that money in advance of the cruise on shore excursions! Special New Offer, Reduced fares save 10-15% off select Alaska Voyages! Regent Seven Seas Cruise is a true ALL INCLUSIVE cruise line that includes airfare*, transfers to and from the ship, unlimited shore excursions*, gratuities, all beverages from specialty coffee to beers, wines and cocktails, Wifi and more. Fares start at $5899 per person and are based on availability and pricing at the time of the booking. Be sure to ask about this promotion today! FREE UNLIMITED SHORE EXCURSIONS reservations are on a first-come, first-served basis and are subject to availability. Some of the high-end excursions have a sur charge. All children 17 and under are required to have an adult 18 years or older with them on any of our excursions. 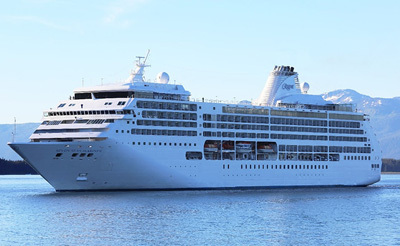 Shore Excursions early bookings close 7 days prior to sailing. A 75-minute window is required between tours operating on the same day in port. Save $1000 on select dates*! *Alaska Savings: Must mention WILD1000AK- $1,000/couple ($500/person) per week; Trailblazer cabins and above aboard Wilderness Adventurer, Wilderness Discoverer, Wilderness Explorer. AK2019COMM - $1,200/couple ($600/person) per week; Commander cabins aboard S.S. Legacy. AK2019SOLO - Single supplement waived S.S. Legacy; Commander cabins; limited to four cabins per departure; not combinable with $1,200/couple savings. Outlined offers are valid on NEW reservations booked April 20-June 14, 2019 for 2019 departures outlined above. Combinable with Family Discoveries, Loyalty, and Refer-A-Friend Savings. Not combinable with Next Adventure Savings or other promotional offers. Restrictions may apply. No cash value. Savings in USD. 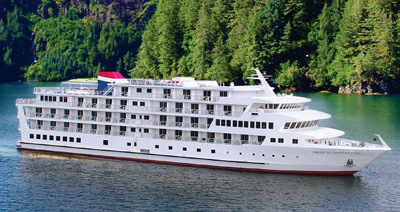 Save on Alaska, Columbia & Snake Rivers, Hawaii, Costa Rica cruises!